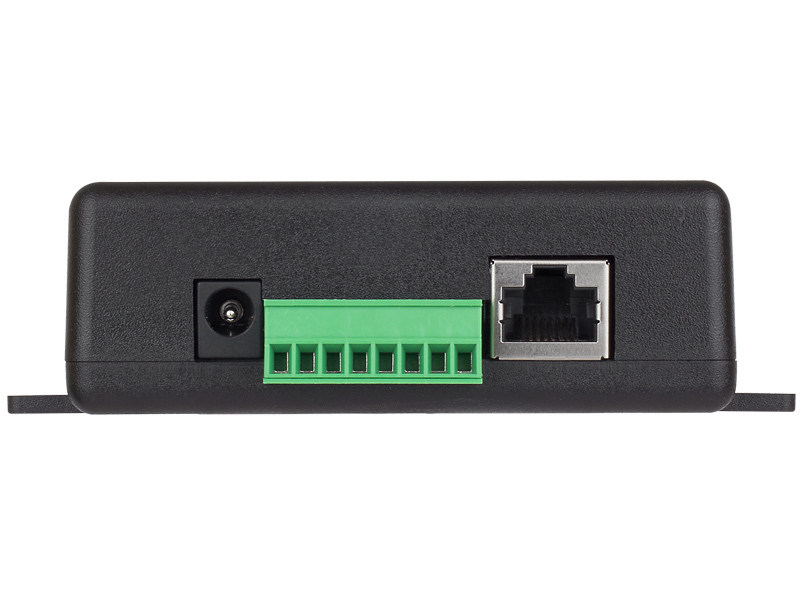 TCW122B-WD is an IP watchdog monitoring module with SNMP v.1 support. 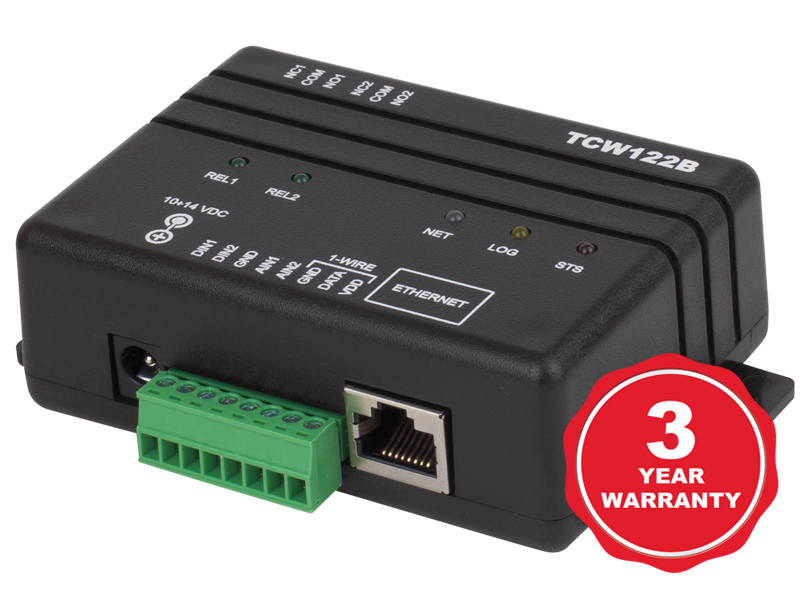 TCW122B-WD is an IP watchdog monitoring module, specially designed for a failsafe monitor system. The module controls the functionality of devices or networks by transmitting or receiving respectively ICMP echo request or ICMP echo reply. The appropriate relay is activated if there isn’t an ICMP echo (ping) for certain time. This can restart the monitored device or network switch. 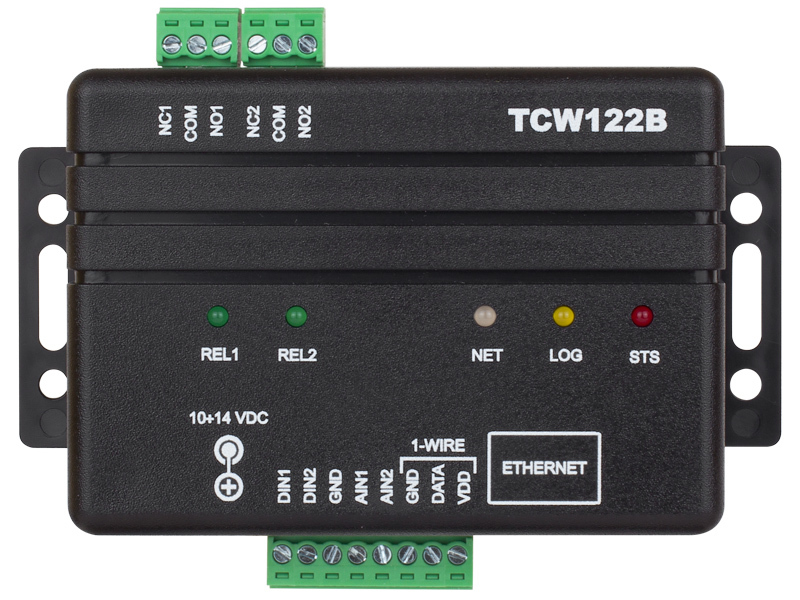 TCW122B-WD has two digital and two analog inputs. It’s two relays have normally open and normally closed contacts. 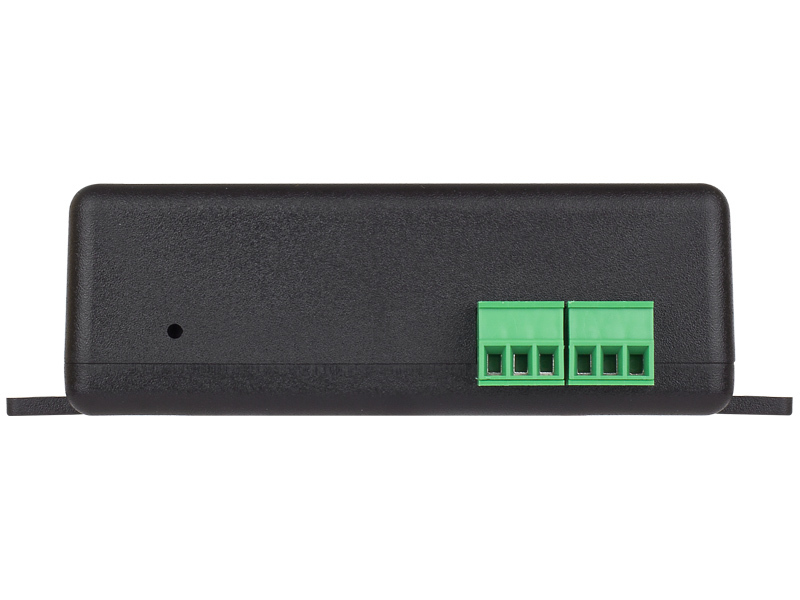 For every of monitored parameters – temperature, humidity, analog voltage and status of digital input, SNMP trap can be sent on certain conditions. 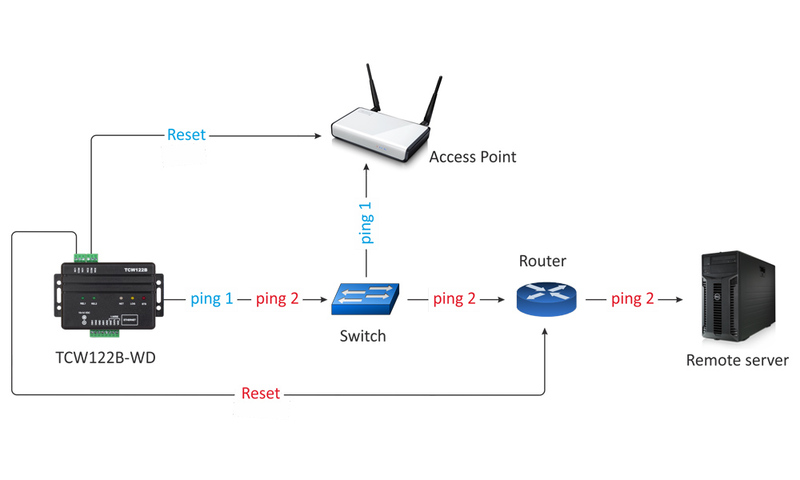 The relays can be activated remotely (WEB and/or SNMP) or automatically from presence/absence of ping. Remote control of electric devices.